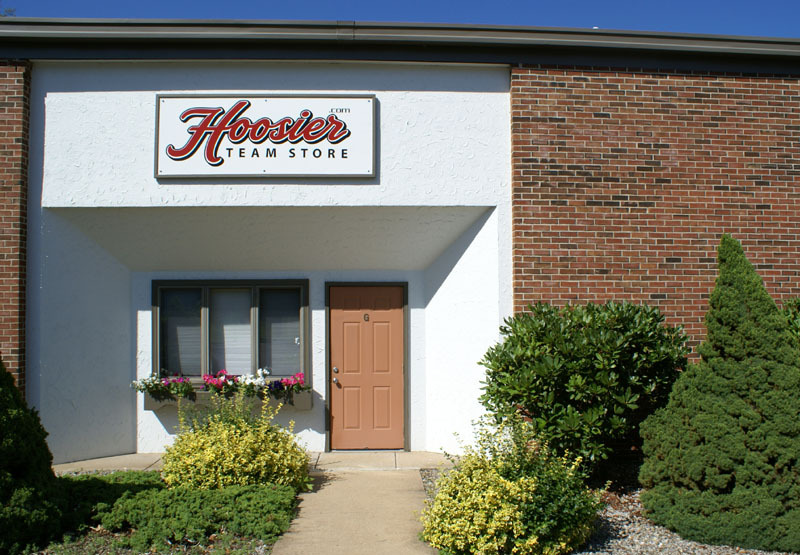 Hoosier Team Store, LLC is a dynamic e-commerce storefront which carries only officially licensed merchandise for Indiana University. We began planning for the site in 2008 and our goal was to commit fully to one university's merchandise, rather than attempt to carry a smaller selection of several universities as many websites do. We chose Indiana because we are fans of the school and its athletic programs and we felt that IU was the perfect choice. By focusing all of our energy on Indiana products, we feel that our site will offer fans, students, and alumni the best selection of Hoosier gear anywhere on the web. In the interest of offering unique and exclusive designs and products, we obtained a license from Indiana University to produce our own of apparel and this can be found in the category called EXCLUSIVES on the home page. You won't find these exact same styles anywhere else as we do not wholesale our products. Our designs are made exclusively for Hoosier Team Store. In reaching Hoosier Team Store, you have not reached Indiana University itself and we are not, in any way, affiliated with their campus bookstore. Our store is essentially a separate, dynamic internet marketplace whose goal is to offer the best selection of IU merchandise on the web. As we launch our site in 2009 we look forward to hearing from you and we promise to continue searching for quality, unique Indiana licensed products. We offer a flat shipping fee of $5.98 no matter how large your purchase is, and while our warehouse is located in Connecticut, we offer this flat shipping rate to anyone in the USA. We will almost always ship your order within two business days and we use USPS Priority Mail for all our shipping. This service takes 2-3 days to anywhere in the USA and we have found the postal service to be very reliable with this time frame. So, if you place an order on Monday morning, you will almost always have it by that same Friday...in many cases sooner. We thank you for checking out our site and we look forward to serving you in the years to come.